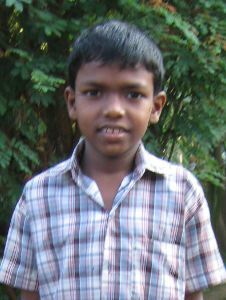 My name is Akshay John. I am from Kottayam. Now I am studying VIth class in Amayannoor School. Here are 4 members in my family. I have one elder brother and one younger sister. My sister also is in Precious Children home My father is not with my mother. He went away from us while I was 3 years old. My mother has passed away so nobody was there to take care of me and give the education and food. So my grandfather took care of me after some years. Now I am so glad to stay in Precious Children home.